This ground-breaking analysis of the cultural trajectory of England's first colony constitutes a major contribution to postcolonial studies, offering a template relevant to most cultures emerging from colonialism. At the same time, these Irish case studies become the means of interrogating contemporary theories of translation. Moving authoritatively between literary theory and linguistics, philosophy and cultural studies, anthropology and systems theory, the author provides a model for a much needed integrated approach to translation theory and practice. In the process, the work of a number of important literary translators is scrutinized, including such eminent and disparate figures as Standishn O'Grady, Augusta Gregory and Thomas Kinsella. The interdependence of the Irish translation movement and the work of the great 20th century writers of Ireland - including Yeats and Joyce - becomes clear, expressed for example in the symbiotic relationship that marks their approach to Irish formalism. 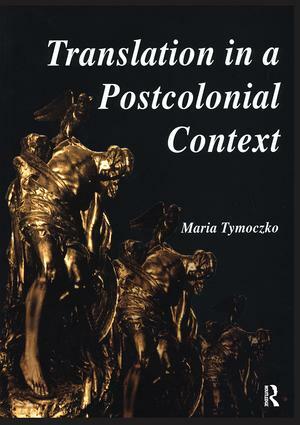 Translation in a Postcolonial Context is essential reading for anyone interested in translation theory and practice, postcolonial studies, and Irish literature during the 19th and 20th centuries.